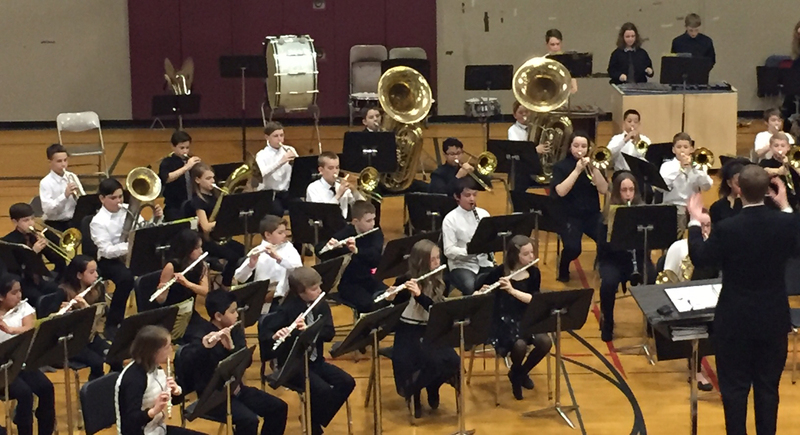 Kraxberger Middle School is happy to offer a band program to 6th, 7th, and 8th grade students. Students start in 6th grade Beginning Band playing traditional band instruments featuring woodwinds, brass, and percussion. Each band performs for the public at least four times throughout the year. Additional performances may include competing at festivals, performing for younger students at John Wetten Elementary, pep band at assemblies, and more! Financial Burdens: A student will never be excluded from band due to financial hardship. If necessary, we will provide all of the necessary materials for students to participate in band. This includes instruments. This is only possible when families who can afford to purchase or rent the necessary materials due so. Potential financial burdens may include, but are not limited to: purchasing/renting an instrument, repairs, appropriate performance attire, reeds, method books, trip costs, food during trips, and a Jazz Band participation fee.